Children and teenagers are using the Internet more than ever before. Although the Internet is a wonderfully fun and educational tool, it can also be very dangerous. Many children use social-networking sites to talk to friends and others online. But some abuse the technology to post things that their parents can't see. This can open your entire family up to a world of danger if left unchecked. Internet child safety brings a new set of challenges. Here SurveilStar Any Parental Control is a children's internet protection solution which will help your kids stay away from all kinds of internet dangers and help your children grow up healthily. 1. Chat and Instant messaging is the most common form of online communication among teenagers. With that being said, they spend quite a bit of time chatting with their friends. Most parents would like to know what they are talking about. When you monitor the kids chat conversations, you might find out they are doing things that normal kids do. However, you may also find out if they are talking to their friends about inappropriate things like purchasing drugs, visiting pornographic websites, and so on. Even worse, there is a chance they may be approached by a stranger that would like to meet them in person. If you do not monitor kids chat conversations, you will never know what they are talking about. 2. Having the ability to monitor the web sites that your kids are visiting will provide you with insight as to what they are reading, looking and contributing to. There are many popular social networking web sites (like myspace.com) that allow teenagers to have a fully customizable space on the web that is free of charge. Knowing what they are posting on their “blog” is something that all parents should have serious concerns about. If they are providing personal identifiable information in their blog, you as a parents need to know the second that it happens. We believe that parents need to spend time with their children, especially when they are surfing the Internet, but we also understand that a parent cannot always be present when the child is online. SurveilStar Internet Parental Controls helps to bridge that gap, by recording what the child does so that the parent can review this at a later time. Do not give out any personal information related to your family, friends or yourself like full names, addresses, telephone or mobile numbers or those of your parents. Be aware when choosing your chat username or email username not to pick a provocative name as you would be more likely to be sent provocative emails or harassed online. Never agree to meet someone whom you've met through the Internet, in real life without your parent's permission, and if they agree, never go alone, but go with a trusted adult. Never send pictures of yourself or any other personal material to a friend you met online without consulting your parents first. Always tell your parents/teachers if you come across stuff on the Internet which makes you feel uncomfortable, or if someone on the Internet harasses you or threatens you. Be responsible and ethical when using the Internet whether at home or in a public online centre, using the computer equipment responsibly, not causing harm to others through your online activities. 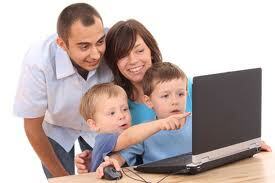 SurveilStar Any Parental Control provides parents the ideal safety solution for Internet dangers and pitfalls. Among other features, SurveilStar Internet Parental Controls lets you track how your child is using computer in a very effective way. You get to see how they are presenting themselves online, which is a great way to thwart the possibility that they are presenting themselves as an older kid or perhaps an entirely separate identity. SurveilStar records every detail on your children's computers including visited website, viewed images and videos, sent and received emails, used applications, instant messages, etc and gives parents full access to those contents. Besides, the children's internet protection application can block any unexpected website or email addresses, forbid application usage and games like Windows MSN Messenger, ICQ, Starcraft, etc. Children's well-being in the virtual environment can be easily achieved by SurveilStar's internet protection for children or kids. Want to have a try? Just click the following download button to have a free trial! I do really enjoy this parental control for it is easy-to-use and also has powerful functions. Thank you!